Basecrafts has a new steampunk basing kit to make your models look their steampunkybest. 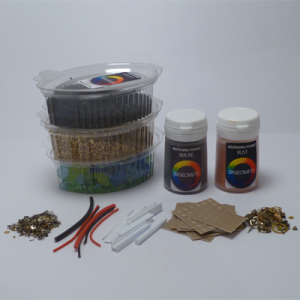 Basecrafts are pleased to announce the release of their new steam punk basing kit. Containing a mix of materials perfect for steampunk themed bases, including cogs and gears, coal effect, rust and smoke pigments, and deck plating pieces, plus more.